Stay and Fly rates available ! Hotels near Sanford Airport make it simple for frequent travelers to make the most of their trip. At our Sanford hotel, each detail was selected to make traveling more enjoyable for guests. 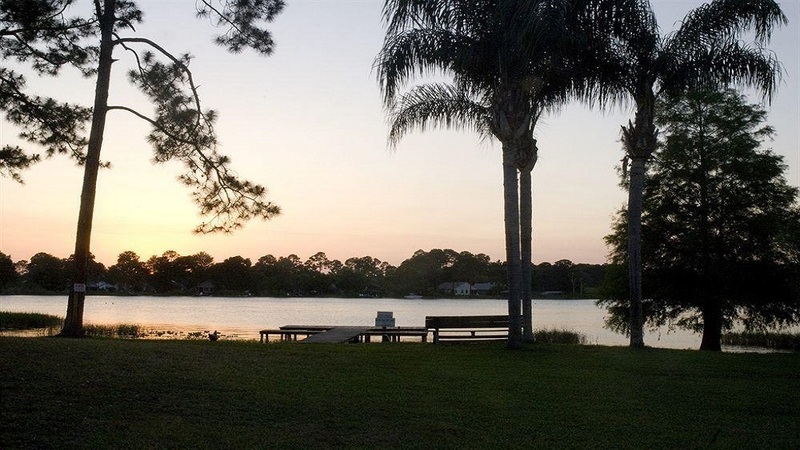 Close to Lake Mary, water recreation and sports from fishing to water skiing are available. The Daytona 500 also takes place nearby, and many of our guests come to town for the adrenaline rush that only these races can provide. Hotels at Sanford Airport are not your average airport hotels because there is so much more happening just minutes from the property that increasing those frequent flier miles. Stay and Fly is also available. Pilot training in the region is world-renowned, and we welcome a number of students to our property throughout the year. The Sanford Zoo is just a few minutes away and a must for families or those looking to spend a relaxing day exploring the exhibits. Sanford Training facilities are situated close by, and airport employees as well as FEMA workers rely on our property to be their home away from home. After punching out, a trip to the Sanford Flea Market or one of the many fine dining establishments might be in order. It is easy to mix leisure with business here. As a stopover near Daytona and Orlando, many of our guests stay with us en route to the vacation of a lifetime. 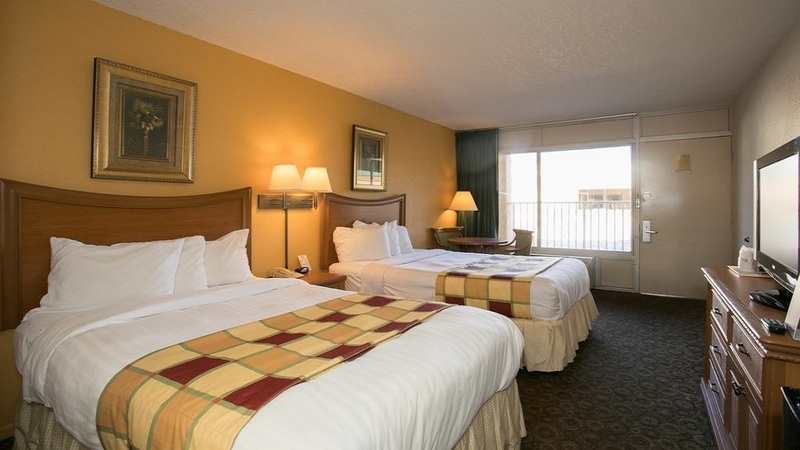 Whether it is Disney or the beach calling, where you stay in between fun family outings can make all the difference. We are 20 minutes from both cities and offer affordable rates. 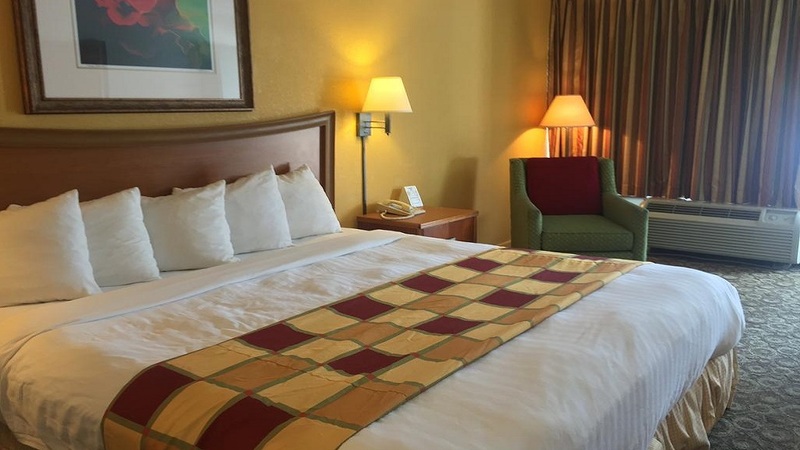 The Sanford Airport, located a quick drive away, brings in travelers from around the world and we are proud to be your host whether you are here for a night or an extended stay. 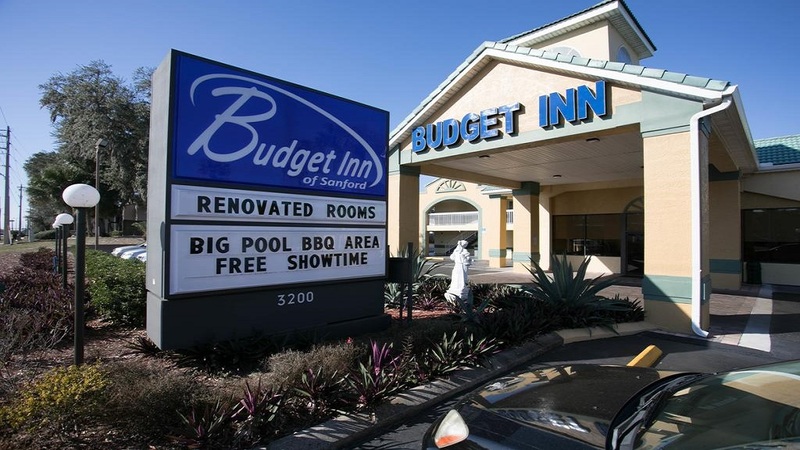 Reserve your next stay at the Budget Inn Sanford Airport/Lake Mary Hotel. Enjoy your stay. 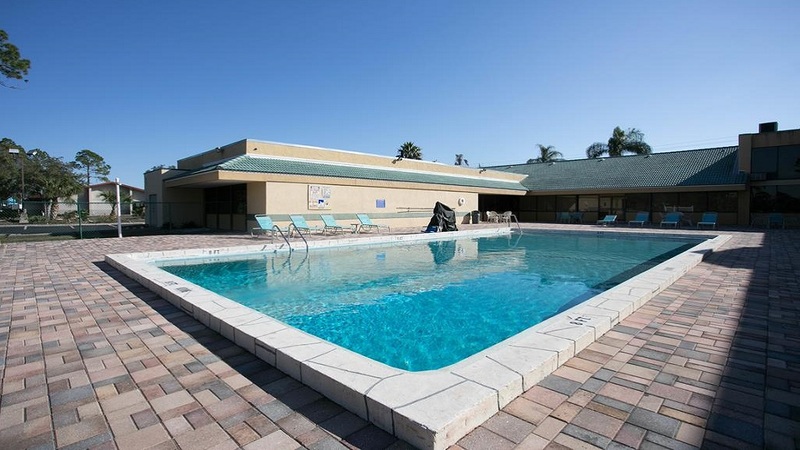 This Sanford, Florida motel is located within driving distance of Orlando as well as popular attractions including Disney World and provides comfortable guestrooms and free wireless internet access. The Budget Inn Sanford is situated only a short drive from local sites such as the Sanford Museum and the Holocaust Memorial Resource. Universal Studios, SeaWorld and Wet 'n' Wild water park are also easily accessible. Downtown Sanford has become a nice stop for a pub crawl. They have several eclectic and friendly pubs that are much more than the typical corner bar. Everything is within staggering distance and parking is typically easy to find. 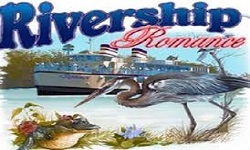 The Rivership Romance offers multiple riverboat cruises in Central Florida, making it a wonderful day trip choice for tourists seeking serenity on the picturesque St. Johns River. Enchanting landscape views, a delightful "Old Florida" atmosphere, lively music and dancing and fresh, bountiful meals make every cruise a relished memory. Options include the three-and four-hour luncheon cruises as well as the Sunday brunch cruise, which features special onboard entertainment. Situated on approximately 3000 acres, Orlando Sanford International Airport boasts the finest leisure passenger facilities in the United States. The airport is conveniently located within the boundaries of the City of Sanford, in the northwestern section of beautiful Seminole County, Florida, 18 miles northeast of Orlando, Florida. 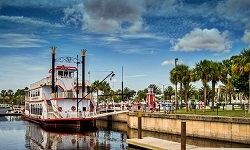 SFB provides its customers with convenient, state-of-the-art facilities and excellent highway access to Florida's renowned beaches and all Orlando area attractions. 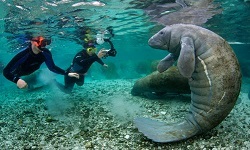 Crystal River is one of two protected reserves in Florida that allow tours to see manatees. It's two hours from Orlando and is closer to Tampa. It'll cost on average a hundred dollars per person for a full day on the water, but it's different from the typical amusement park. The spring water near the river's mouth is 22 degree Celsius at any time of year. All children are welcome. Free! Up to two children under 18 years stay free of charge when using existing beds. Free! Any additional older children or adults stay free of charge when using existing beds. One older child or adult is charged USD 10 per night. Free! One child under 2 years stays free of charge. Additional fees are not calculated automatically in the total cost and will have to be paid for separately during your stay. I want day that if your going to be catching a flight or train, the accommodations are perfect. Mystics and 2 toddlers stayed the night before heading back to Indiana. We set reservations upon arriving Florida, there were no problems at check in, and the staff was very professional and extremely curtious. They address located next to an IHOP and a local restaurants. For a 1 our 2 nighters everything was perfect, there was also a handy microwave and mini-fridge. one of the best motels. When to visit our son and his wife and granddaughter they were moving and we needed a place close by. We stayed 3 night and sleep like babies. Very close to shopping and airport. The staff was very helpful Would stay again. Had a very early flight in the morning so stayed near to the airport. The price was decent and rooms looked recently refurbished. Special mention to Imran on the front desk who was amazingly helpful. Room is very clean. The AC works fine. The bathroom is very clean too. We used this place because we have to wait for our flight at the airport. Nice staff and helpful, it's very great. The staff there was wonderful. They even printed my boarding passes for the airline as soon as I arrived. Close to airport, very helpful staff. Close to restaurants. Clean hotel close to the airport and restaurants. We reserved a room for a late arrival in Sanford. The room was clean and the staff was friendly. The hotel is close to restaurants and grocery stores. The room had a mini fridge and a big screen t.v. This Motel is a pretty good place to stay if you need to catch an early flight out of the airport at Sanford. They will allow you to leave your car here free of charge for up to two weeks as long as you stay overnight here. Nice staff, very helpful. Highly recommended. Great price and clean rooms! What a surprise after spending 3 nasty nights at the quality inn I booked this hotel. I was pleasantly surprised to find the room spotless, clean and fresh and priced very good! Value hotel but great value and cleanliness. Would def. stay here again. Friendly staff also. I have to admit I wasn't expecting much for the price we paid but I was extremely surprised! The room was nice but I was even more impressed with the staff. They were super friendly and very accommodating! If you're wanting a motel that's close to the airport, cheap, and friendly staff I would highly recommend this motel!